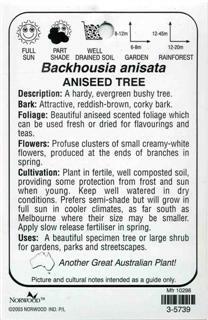 Description: A hardy, evergreen bushy tree. Bark: Attractive, reddish-brown, corky bark. 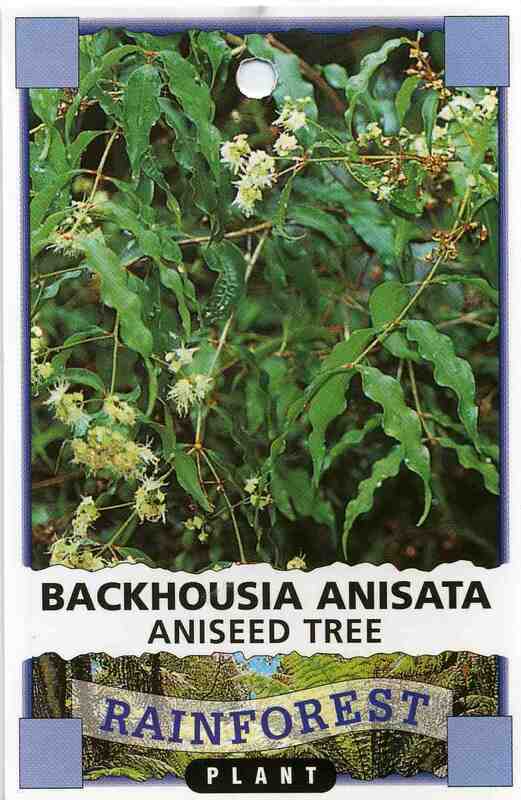 Foliage: Beautiful aniseed scented foliage which can be used fresh or dried for flavourings and teas. Flowers: Profuse clusters of small creamy-white. flowers, produced at the ends of branches in spring. Cultivation: Plant in fertile, well composted soi l, providing some protection from frost and sun when young. Keep well watered in dry conditions. 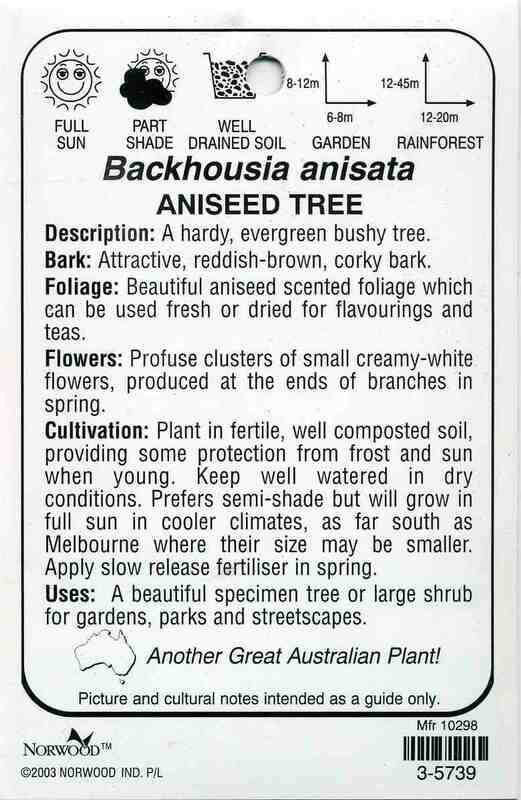 Prefers semi-shade but will grow in full sun in cooler climates, as far south as Melbourne where their size may be smaller. Apply slow release fertiliser in spring. 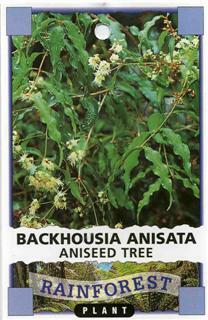 Uses: A beautiful specimen tree or large shrub for gardens, parks and streetscapes.